While the death of one iconic piece of Technics shaped DJ technology may seem lingering, another has most definitely been decided. The announcement of Pioneer's original CDJ-1000 was one of those you-remember-where-you-were moments which redefined the DJ game completely. 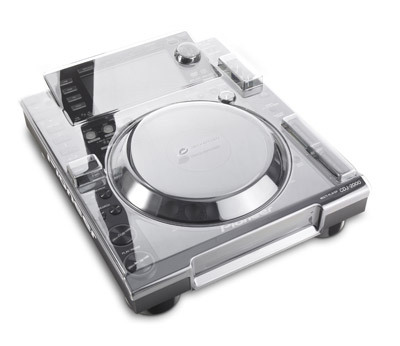 But with the new species, in the shape of the CDJ-2000 and 900 having dawned, the CDJ-1000 now finds itself being shipped off to the technology retirement home. Yes gear geeks - the CDJ-1000 is now officially discontinued� well definitely in the UK anyway. Algoriddim aren't resting on their laurels at all. After taking the Mac world by storm with v3 of djay, and hooking up with Vestax to make Spin - the (for now anyway) Mac only djay specific controller - djay has been updated. Clearly taking my review seriously, djay has undergone a bugfixing fest as well as honing some of the key features to perfection. The term "DJ equipment" has an increasingly vague definition these days. There was a time when turntables and a mixer were the only lumps of technology that properly sat in this group. But now almost anything can be dragged kicking and screaming into this category - including keyboards. So it makes sense to have a peek at Akai's entry level MPK25. Resident pad basher Chris Cartledge takes a look and shares his feelings. It's always a pain when a manufacturer makes something that is almost great, but doesn't quite hit your desired nail quite on the head. But with MIDI controllers, anyone skilled with a soldering iron and a little knowledge has been able to knock up some sort of personalised device. But Livid have now taken this to the next level with their Builder kit. Now, your dream controller is just a few components and board snaps away with Livid's Builder kit. Looks like I need to dust off the to-do list and get on top of the workload again, as reviews seem to be slipping through the cracks in my bulging in-tray. One such review is Tonium's Pacemaker. While I was contacted to break the mini marvel to the world, actually getting hold of one proved harder than tracking down Jimmy Hoffa and Lord Lucan. But get one we did, and Andrew Unsworth dusted off the skratchworx microscope and got all up close and personal with the Pacemaker. Having shelled out significant amounts of green on Pioneer's new �ber decks, it makes a great deal of sense to treat them with a degree of tender loving care. You could hire an armed guard to keep people away, store them in a carefully controlled air conditioned environment� or get some Decksavers instead. When I started writing this VFX-1 piece, the phrase "Hobson's Choice" was firmly stuck in my head. Being a happy juggler of English verbiage, I decided to look up exactly what it was that I was trying to convey, and indeed found myself on the rocky rollercoaster of old English sayings. Bear with me for a review follows. I'm often amazed at the left field thinking that comes out of the addled minds of DJs. And while manufacturers often cater to the lowest common denominator in a bid to make money, the cleverest ideas often remain in the realm of ultra niche. Here's the latest video for JohnBeez's fretless fader - the device that lets you play notes via MIDI with your fader - and cut at the same time. NAMM was pretty much about what Serato had up their sleeves - and they certainly had pretty big sleeves. But the one thing that had been kinda sorta promised was the big ole version counter slowly winding its way all the way round to 2.0.0. Well after a short period of almost private beta, v2 is deemed to be fit for sustained public beta hammering from the rest of you mere mortals. While the news is a tad thin on the ground post NAMM, we're beavering away in the background bringing fresh reviews together. 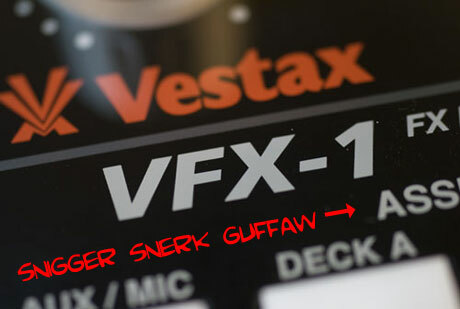 One such piece is the Vestax VFX-1 review. While wrapping up the photography this morning, I discovered what I guess is the photography equivalent of a blooper reel. Post-NAMM, the DJ scene goes into a brief but needed sleep before starting all over again for MusikMesse. But this particular news story is like an airhorn in your lughole to wake you up from your slumber. 4MidiLoop is a deeply attractive looking MIDI controller specifically for Traktor Pro. UPDATE: Some words from the creator added.